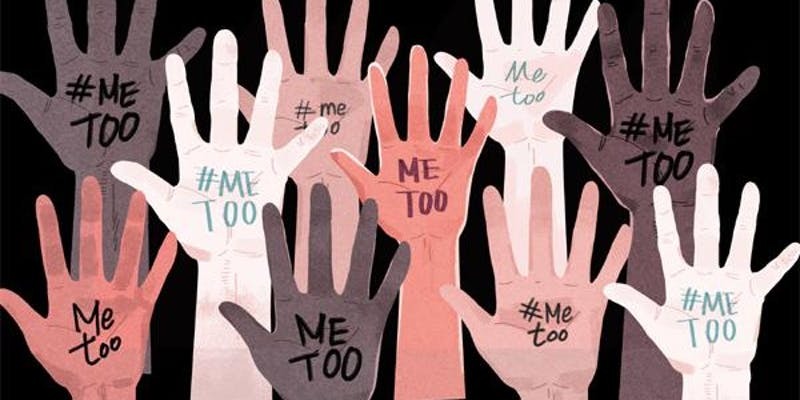 The #MeToo campaign has become one of the largest movements for female equality in recent times. It has challenged the patriarchal-systems of industries which have been led by men for years, and has denoted a tipping-point where people will no longer suffer in silence. The movement is not restricted to issues faced by women. We have seen high-profile cases where men have also been affected, whether this be in entertainment, football or the church. The campaign represents a movement whereby the voice of one-person can lead to a fundamental shift in shaking up the power structures which exist. Bullying and harassment have no place in any workplace, or indeed anywhere in society. It is the role of an organisation to protect employee’s health, safety and wellbeing with a duty of care to ensure employees return home safe at night. It’s easier (relatively) for a company to focus on interventions which ensure the physical safety of individuals is protected, risks from hazards associated with the workplace. But what happens when the hazard is another person, or group of people? Grievance and dismissal processes plays a role in exiting those not up to scratch in the performance management process. Can these processes be manipulated when there is a lack of diversity in an organisation? Do they disproportionately affect people from minority groups? And how often is a pay-out settlement used in constructive dismissal disputes to keep people quiet for voicing their real experiences? Is there confidence in whistleblowing arrangements? Where do we push for real progress rather than superficial progress? Men often feel disengaged from the focus on diversity and inclusion, which typically focuses on underrepresented groups in engineering (women; black & minority ethnic, lesbian, gay, bisexual & transgender; disabled candidates). A vacuum can oftentimes be created between the feeling of walking on egg shells for fear of offending, and political correctness. The fact remains, at the heart of it, it is a case of creating a culture where fairness, inclusion and respect is built into the heart of the organisations. Executive leaders and managers set the tone from the top, and outline what expectations are. This is the first step. But culture change happens across all levels, in every corner of the business, on-site and off-site. And each location will have its own sub-culture where micro-aggressions may be rife (or not). The key is to create an open and inclusive profession, where the central wellbeing of engineers is front and centre. Organisations need to be open to having challenging conversations which could likely challenge the fundamental foundations of their business. But, with the head out of the sand, an organisation can move ahead, create an impactful culture change programme, and weed out people who negatively affect other employees. And organisations need to invest in the appropriate training for supporting employees who might come forward to disclose traumatic experiences from their past, or their present. This would include (but not limited to) mental health first aid training for people managers, HR teams. It is recommended to establish a team of mental health first aiders and make it known who they are, in the same vein as we do physical health and safety. Technology is becoming ever ingrained into how we live our everyday lives. With it comes risks of biases being baked into design if design teams delivering such technological advancements are homogenous and non-diverse. Diversity of thought and experience is really important when creating inclusive products, systems and processes. To achieve this, we need greater diversity at all levels, and we need a culture which will ensure all engineers and technologists thrive, with risks, hazards and barriers removed. It may seem like a vision of utopia, but with greater transparency and coming together as a collective like the #MeToo movement, then I believe it can be achieved.